Whispers of the Dark Daeva is a new Parsantium adventure for 1st-level characters for 5th Edition and Pathfinder. 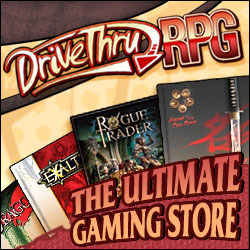 Buy the 5th Edition version from drivethrurpg.com, Paizo, and Open Gaming Store. Buy the Pathfinder edition from drivethrurpg.com, Paizo, and Open Gaming Store. Part mystery, part dungeon crawl, this standalone adventure is the ideal way to kick off a new campaign set in Parsantium: City at the Crossroads. The scenario can also be readily adapted to other published campaign settings or your own game world.